Pledges by donors at the Iraq reconstruction conference held in Kuwait this week have failed to meet up the government’s close to $90-billion budget needed to rebuild the country in the aftermath of victory over the Islamic State group (IS). Turkey appeared as the largest contributor. 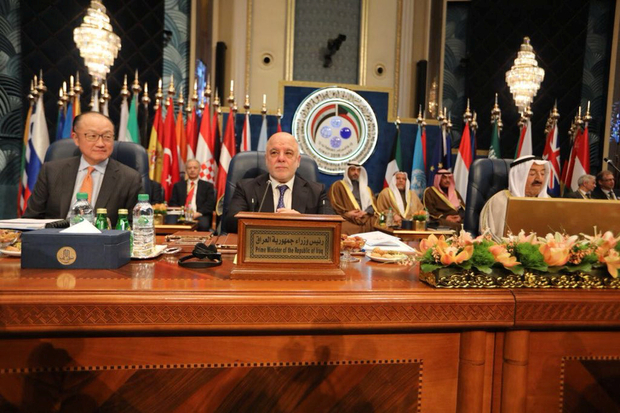 Ankara pledged $5 billion in the form of credit line and investment in Iraq. Saudi Arabia, which has just begun thawing ties with its neighbor following decades of suspicion and apprehension, pledged $1 billion earmarked for project investment. The kingdom would also give $500 million to support Iraqi exports. Gulf gas-rich country, Qatar pledged $1 billion in the form of loans and investments while United Arab Emirates (UAE) promised to draw a check of $500 million. Abu Dhabi also mentioned $5.5 billion investment in the Iraqi private sector. 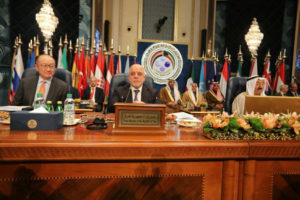 Conference host, Kuwait according to its ruler, Emir Sheikh Sabah al-Ahmad al-Jaber al-Sabah, will give Iraq $1 billion in loans and will commit to another $1bn as investments. Australia pledged $18 million as a contribution to the reconstruction program having as main focus housing. “The widespread destruction of people’s homes, hospitals, schools and other critical infrastructure is a significant barrier to Iraqis returning home and resuming their lives” said the Australian foreign minister Julie Bishop. According to the Iraqi ministry of planning estimates, nearly $90 billion are needed to implement the reconstruction program that seeks to give life to devastated cities and areas in the three-year fight against IS, which took control of most Sunni majority cities in 2014. Of the $90 million, $22 billion were required immediately. In total, according to the host country, $30 billion were pledged on the final day of the conference, which was attended by 76 countries, numerous international funds and organizations and hundreds of investors. Written by: KanelkaTagba on February 15, 2018. Posted by KanelkaTagba on Feb 15 2018. Filed under Headlines, World News. You can follow any responses to this entry through the RSS 2.0. Both comments and pings are currently closed.